You can add your registered domain and DNS records using SolusVM Control Panel. Note that you should set NS servers in your registrar control panel first to ns1.vpsget.com and ns2.vpsget.com and allow up to 24h for full propagation. If you have registered domain with VPSGet you should skip step with adding NS records. 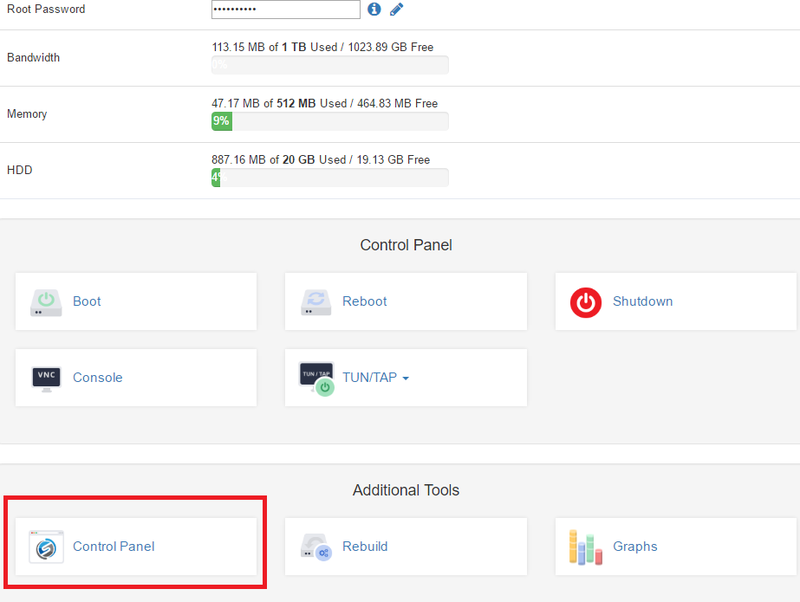 Click on "Control Panel" button, after that your should be logged automatically to SolusVM CP. Select "DNS" at the upper side. You will see a field "Add New Domain". Enter your domain name and press "Add"
Now your domain appeared in domain list. Press "Manage" at the rigth side of the domain. To add A Record enter an IP of your server in a field "IP Address" . Field "Domain" leave blank, it will be set automatically. To add A Record for www, enter "www" in a "Domain" field and IP address in "IP Address" field. Press "Add". A Record for subdomain will look like "*.domain.com"
To add A Record for all subdomains, enter "*" in "Domain" field and IP address in "IP Address" field. Press "Add". A Record for subdomain will look like "*.domain.com"
To add MX Record enter your mail server in field "Mail Server" and select "Preference", for example 10. Press "Add". MX Record will look like "mail.domain.com"
For example, if you want to point your "sub.domain.com" to some "domain2.com" you need to enter "sub" in a "Domain" field and "domain2.com" to an "Alias" field.